The first stop was Trinity College. It was enshrined in every UCD student to detest every cobble stone within its walls, to loathe the very essence of the place. In truth, the rivalry between UCD and Trinity was born out of mutual respect, but nonetheless, Trinity was never a place I wished to visit. On walking through her historic arches into the world famous quad, you knew you were visiting somewhere special. The cut stone buildings stood proud, as if to claim these walls were what made her alumni great. The main stop in Trinity College, aside from admiring the buildings, was the world famous Trinity Library which housed the Book of Kells. 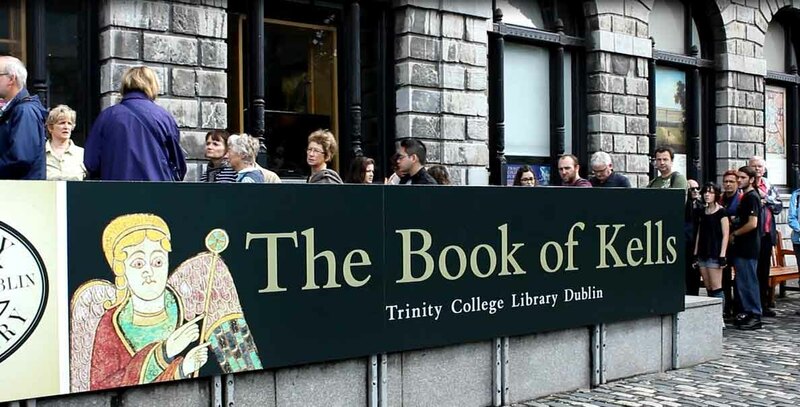 At €10 a ticket, entrants could enter the exhibition about the history of the Book of Kells and how it came to be. The book itself is encased in a glass vault with two pages from each book on display. On exiting the exhibition, you are brought to the long room of the library, which resembles that of the library from Harry Potter. While the entire stay may have been brief, and the fact the queue may have been longer that the time spent in the museum itself, Trinity is still worth visiting. The ticket price at €10 doesn’t seem to have detracted endless queues of Tourists. While in Trinity, it is well worth visiting the Science Gallery. 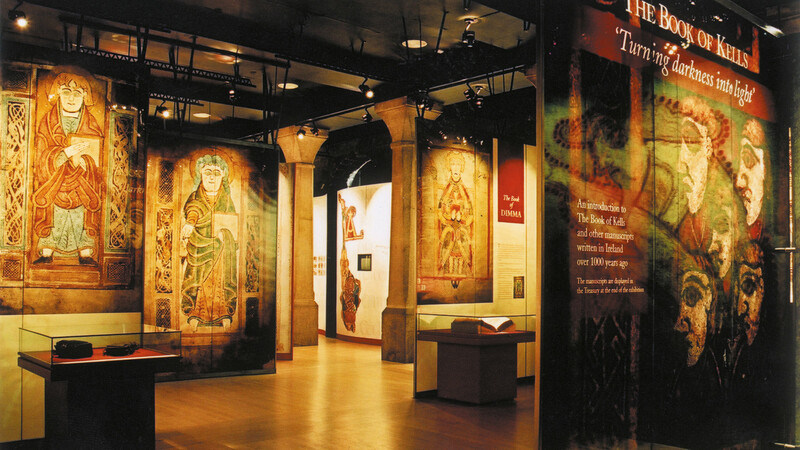 There are various exhibitions on show throughout the year. Entry is free and regardless of the exhibition, you always feel like you have learned something valuable.